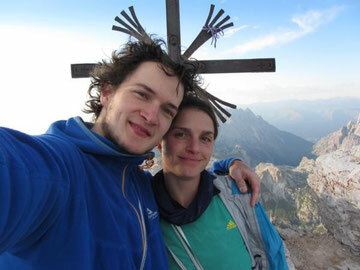 King and queen of the Dolomites. 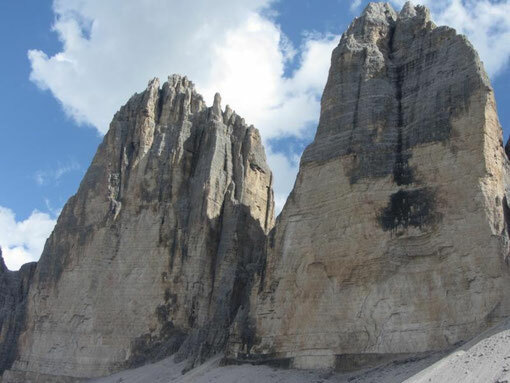 THE classic line on the north faces of Tre Cime. 36m overhanging in total I am lucky NOT to be one of the other Alexes (Alex Huber soloed the Hasse-Brandler and Alex Honold….ahhh, you know!) 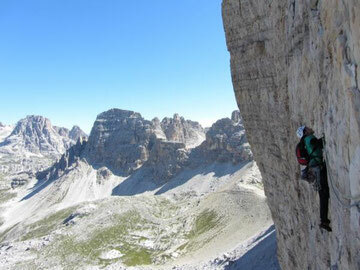 But let me tell you about our lovely-chaotic day at Cima Grande! 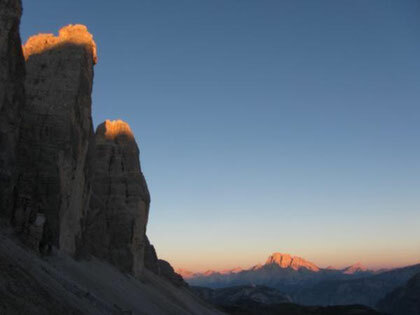 Early morning, 6:25, sun tickles the top of the Tre Cime and we passed by Paternsattel. Two left Testarossas. Not useful AT ALL!!! 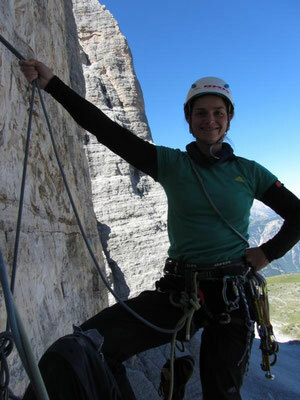 6:59 I tied myself into the ropes and realized that I had carried two left climbing shoes to the wall.1h! Not useful AT ALL! Mistichkeit! So quick decision and quickly running back to the parking at Rifugio Auronzo, made sure I grabbed a right looking Testarossa and speeded back. 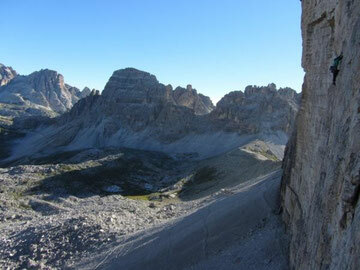 This must be a new Tre Cime di Lavaredo there-and –back –again-record: Chrissi started climbing at 8:10. ...Chrissi looked a bit skeptical at the water drops coming dribbling down the roofs. But he had a plan! 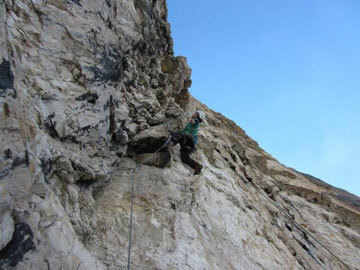 Chrissi leading the first roof pitch. Ropes and Slovakians ahead! 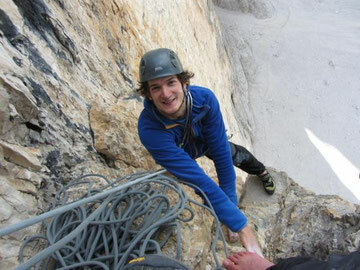 He followed team Slovakia who rather talked and hung around and talked and…unexpectedly he slipped of some wet holds and grabbed the first roof belay. Wet roof pitches part four! I took the lead of the second roof pitch and ended up clammed and jammed into a slot, water running down my arm; I reached a wet side pull out right, spun around and finally reached dry ground! 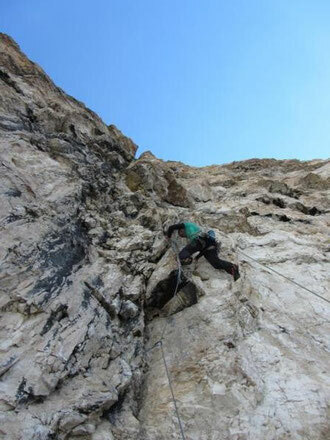 The last two hard pitches were less wet but as exhausting and steep as the first ones. Finally we reached the bivvi-ledge and left our names in the route logbook! Hasse-Brandler onsight, what a cool day! 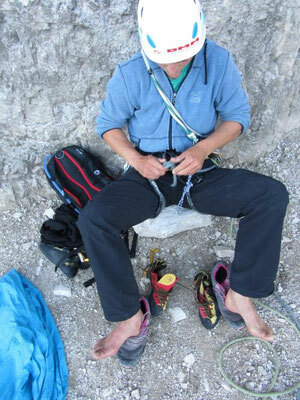 The team from Slowakia commented: now I know what type of climbers you are (eastern-Europe-accent), don’t know what he was talking about ;o)?! 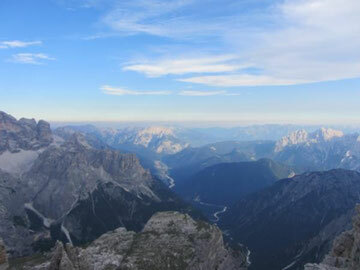 Grande view from Cima Grande. 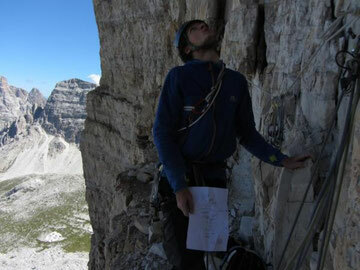 After some lovely chimney pitches we reached the “Ringband” where all routes end and scrambled to the top of Cima Grande! What a view! 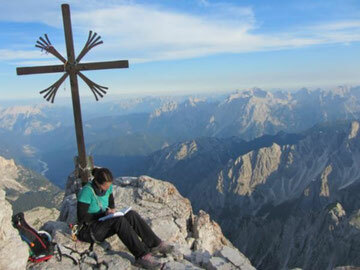 ...while I texted into the summit logbook. 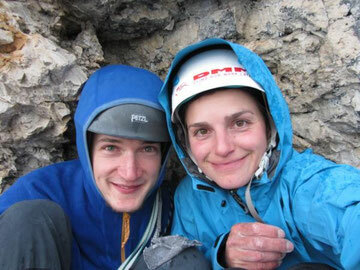 After some summit Snickers we abseiled respectively hiked down the south side! 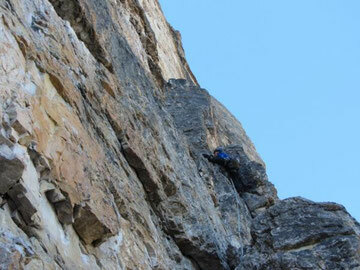 Summary: Classic route, overhanging from the bottom to the bivvy-ledge! Finger power is needed in the first third, biceps in the roof pitches and endurance all along. Route finding skills and chimney moves for the last part! 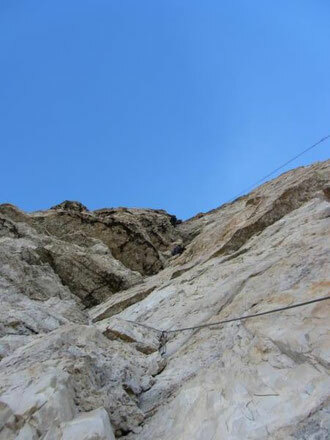 Facts: Old pitons, some bolts at hard sections and belays. 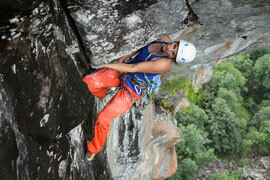 5+, 5, 6b+, 5, 6b, 6b, 6b, 3, 6c, 7a+, 6c+, 7a, 5, 6a, 5+, 5+, 5 (550m); walk and abseil down the south side ! Topo: Dolomiten Vertikal Band Nord, Lobo-Verlag, Sextener Dolomiten extrem, Richard Goedeke, Rother Verlag. Tip: If you see a bolt within a pitch you can be sure a hard section is coming up; even the 6b’s can be really tough! The overhangs are always a bit wet but the friction is okay, no excuses! Try to link some of the lower pitches! 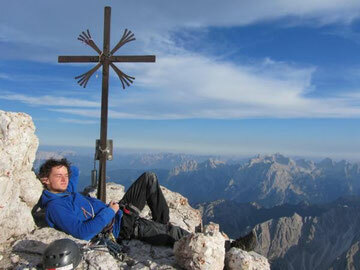 Make sure the roof pitches are not too wet, you can check the condition on the webcam from Dreizinnenhütte! 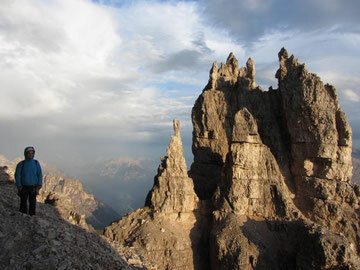 Cima Grande and Cima Ovest di Lavaredo. Impressive North Faces! With 22 pitches of Hasse-Brandler in our bodies we took one day of and walked over the Forcella Col di Mezzo to Lange Alpe to have a look at the north face of the Cima Ovest; a throughout overhanging wall with the 30m Bauer-roof in the middle! 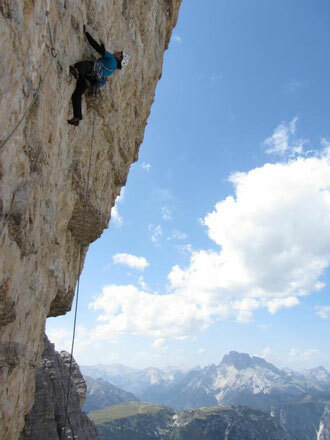 We saw some people working “Pan Aroma” and one team in a new route opened by Christoph Hainz and Kurt Astner from 2010 called “Pressknödel” on the right side of the north face. They moved very slowly and by 5pm they were just half way up the wall. 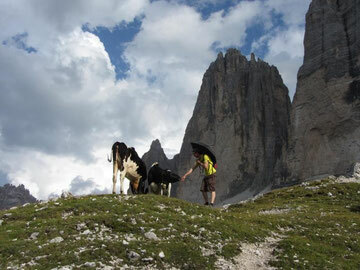 "Pressknödel" is supposed to be one of the gourmet meals at Tre Cime di Lavaredo! Chrissi tried to make friends and to organize some latte for the next morning cappucino! 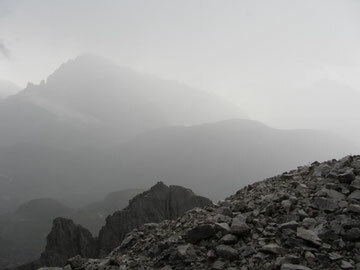 Not quite successful and after a night with thunderstorms and some rain we walked to the north face via Forcella Col di Mezzo with mixed feelings. 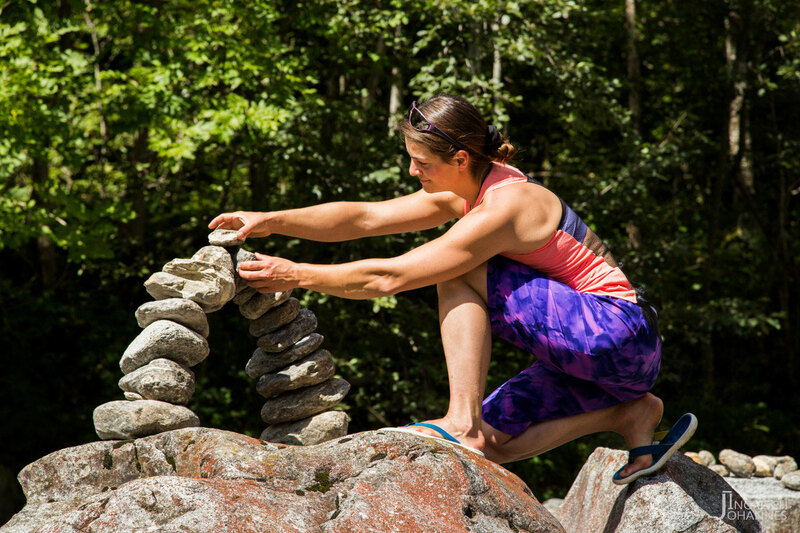 After some investigations we found the start and Chrissi led the first pitch of horrible loose rock. Not super psyched anymore and with frozen fingers I started the first 7b pitch. A quite reachy move stopped me at the 5th bolt, so I figured out the moves and started again from the first belay not knowing, that the hard bit of this pitch would be higher up. Luckily I onsighted the rest of this pitch and the next three pitches! Self confident I started the crux pitch, pulled over a hard looking (and feeling) roof but fell a few meters higher up with exploding arms. After a Snickers and a break I cruised the pitch and speeded on as some stormy clouds were visible. The last hard pitches, especially the 7a squeezed out the last bit of me but there was no time to winger around, the storm was coming closer. 150m later it started to rain and we stumbled around on a ledge which we believed was the “Ringband” and hid below some blocks as the thunder was approximately 1km away. Thunder and rain just 1km away! 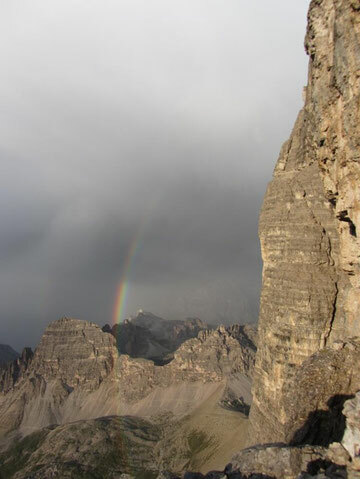 After the thunderstorm on the "Ringband" of Cima Ovest. Luckily it passed by with just some slight rain and we scrambled up onto the real “Ringband” and down to Refugio Auronzo. Two hours later very lucky Schwigels were sitting in front of massive pizzas in Toblach, celebrating my great redpoint and our big fat luck on top of this mountain!!! Summary: Pumpy, permanently overhanging route, long sustained pitches with hard sections, reachy from time to time! Wow! You guys rock :) Can't wait to catch up with you soon in the base.